According to press reports, January 6 witnessed another day of fatal police violence in Cizre, Turkey. The town has seen repeated clashes between supporters of the PKK and police in recent weeks. 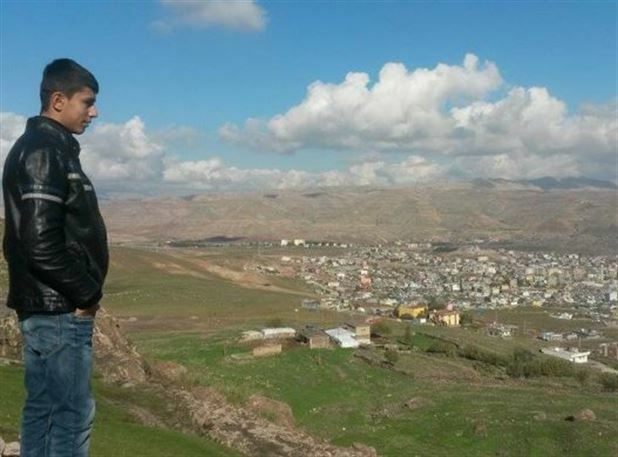 In the violence yesterday, several were injured and two civilians were killed, including Ümit Kurt, a child of fourteen. Only three days earlier, Musa Azma, died of wounds he suffered on December 27. According to press accounts, Azma was watching clashes in his hometown of Silopi when he was fatally injured by a policeman’s bullet. Ümit Kurt, a shoe-shiner, was gunned down by police in the district’s Cudi neighborhood, reportedly as he was attempting to flee police. Emirhan Uysal, the head of the Şırnak branch of the Human Rights Association (İHD), said the autopsy suggested Kurt had been shot in the back by police, according to Ayça Söylemez of web portal Bianet…. “The police entered the neighborhood with armed personnel carriers from the side where the filled-in trenches are. There was no incident, protest or crowd in the area, but according to the district governor, police fired when they saw armed people with masks,” Uysal said. “But the people that were hit were a shoe-shiner [in work clothes] returning from work and a civil servant in a suit. Neither had their face covered,” he said. The political situation on the ground in Eastern Turkey is shockingly volatile and remarkably complex. The challenges for journalists and human rights organizations to monitor these events are great. Yet, it also seems that deaths in the East have become normalized for the Turkish public. There is little public outcry. Most mainstream Turkish news sources cover these deaths sparingly. Few newspapers, for example, treated Ümit Kurt as frontpage news. Even on an admittedly eventful day in Turkey, one would think the shooting death of a fourteen year old, apparently a bystander, by police, would be a seen as a national tragedy. These events require full, independent, and transparent investigation. Unless the culture of impunity that reigns in Turkey is challenged, the deaths of innocents will continue. Two new pieces of information regarding the killing of 14 year old Ümit Kurt since I first posted this item. Kurt was targeted by police, the report said, adding that he was standing between an electric pole and the wall of a building, when he was shot directly in the heart. It also underlined that he was not shot in clashes with the police, but while walking on the street. Kurt was not able to be immediately taken to the hospital because police continued to fire, injuring another person, the locals who were interviewed were quoted as saying in the report. One more person who parked their car was also targeted by police, but managed to escape the bullets by hiding behind the vehicle. The bullet holes in the car, as well as in some buildings, were identified and photographed, the report said. For their part, prosecutors have issued a “secrecy order” for the investigation, thus limiting the capacity of human rights organizations to monitor the progress of the case. This entry was posted in Excessive Force, Minorities, Turkey and tagged excessive force, impunity, Kurds, Musa Azma, PKK, Turkey, Umit Kurt. Bookmark the permalink.